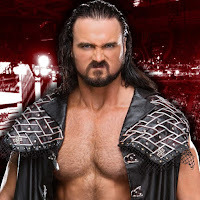 Drew McIntyre recently was asked about his journey back and how NXT UK is a great opportunity for others who come from a similar background as him. "There's nothing easy about it, but you got lot more eyes on you, and a lot more opportunities…," McIntyre said about NXT UK. "More opportunities than when we were signed. There weren't many UK guys around; I think it was only Paul Burchill that was signed from the UK, unless you go back to the Finlays and Regals who were already living in America and were the first group of guys signed. But it was Sheamus, myself and Wade Barrett who were in that first group that were cherry-picked from the UK and brought to America. "Now, you get to train in the UK, you get to experience the WWE, get to learn about how it is with the camera, etc. Then go to a live building, get acclimated with the country and the new culture. So no matter what town it is, it is way better opportunity-wise, and I'm very happy about it. I'm not bitter about it that I had to do it [the hard way], I'm happy that it is working out well down there." The European scene is currently thriving but it was much different when McIntyre was coming up. He remembered his time wrestling in Europe before being signed by WWE in 2007. "I remember having a lot of fun," McIntyre said of those early days. "The European scene had died down at that point and we were trying to get something going…. There was only one televised show in Europe. McIntyre has been with Sheamus and Wade Barrett since pretty much day one and they were all brought over at the same time. "We had a lot of fun and we all got signed to WWE on the same day," stated McIntyre. He was then asked about the current crop of Superstars in NXT UK and who fans should be on the lookout for. "It's hard not to say that Pete Dunne's not the best considering he's had the title for a number of years," said McIntyre. "But there's so many good guys and I've worked with the majority of them so I know how good they actually are." McIntyre also said that he not only enjoys the NXT UK Superstars, but he also enjoys their style of wrestling as it suits him as well. "Everyone's very physical in the ring and that's my favorite style – the British style," stated McIntyre.